I recently heard a golden nugget of wisdom on my favorite podcast, "Being Boss," when Emily and Kathleen were talking about how creative or emotional funks tend to come when you have a lack of clarity on what to do next. Amen, ladies!! I often have times in my business when I feel like my to-do list of things to tackle is SO long, and each thing is so big, I don't even know where to start. When I begin going down that thought path, you better believe I get a lot less productive! It becomes so much easier to put things off that just feel like "too much for today." I have really felt the need lately to get more organized and more focused in my work, and just haven't been happy with my level of productivity. I knew my capability of doing so much more and utilizing each day to the fullness of its potential. I could FEEL the potential in myself and my time, but didn't know how to get there! One part of being your own boss that can get tough is not having anyone to tell you what to do. I don't come in to my home office to promptly be handed a list of things to do for the day. It's my responsibility to sort out what the priorities are, figure out how to do the work, and actually do the work. Whew! I both LOVE this and get frustrated with it sometimes when I feel like I don't know how long something will take, or when I feel like all the things are a priority and I don't know where to start first! I realized part of my problem in getting things done was a lack of structure in this process of doing work. Most of my structure for getting things done has revolved around my Google calendar, a plethora of lists and lots and lots of notes in Evernote. Things that feel like a priority tend to change from day to day, which makes it tough to focus on one bigger task and see it through to the end. Womp womp! So then I thought, "What if I tried using a planner again?" Even though I have used some form of a calendar for years, I haven't used a "real" planner since I was in high school and college! I thought back to how I used to be able to actually, physically look at my day and see where I could fit in my priorities. I felt some relief with that thought. What also came to my mind was the idea of a "brain dump," which feels SO GREAT! Being able to physically write down all of your to-dos, concerns, things you wish you had time for, etc. is also a huge relief for a lack of structure. And then being able to combine both into one physical place, a.k.a. a planner? Bingo! I spent hours researching the Day Designer, and man, did I really really want one. I psyched myself up to drop the cash. When I watched video reviews of the most recent past editions and saw the brand planning worksheets, I was sold. Then, when I found out the most recent edition no longer included those and now they would be sold separately (with no price change to the planner itself) I was super bummed. I knew those worksheets would be a big help to me being someone with a younger business. So I researched other options, and discovered the Passion Planner! Guys, this planner is super cool. It works off of a whole philosophy of prioritizing and goal setting and breaking down bigger goals into smaller, more attainable ones. While I'm feeling a slight bit of commitment phobia, I also can't wait to get started and learn how to incorporate that structure into my every day life. Later today I'm going to dive into creating my Passion Roadmap (example pages below) and start incorporating the actions of planning and sticking to it little by little through the week. Goal setting worksheets with instructions to show why they work. Hourly breakdown for EVERY day of the week: 6am to 10:30pm. Lots of room for my beloved to-do lists. Space to keep track of your chosen focus for the day and the week. Big focus on inspiration, gratitude, reflection, and positivity. Every week contains an inspiring quote and a mini-challenge to help improve your productivity, relationships, or outlook on life. After every month, there are a series of short questions to prompt you to reflect on the past month, and to move into the next month with intention. Not only is the Passion Planner super affordable, it has so much flexibility to be whatever you need it to be. 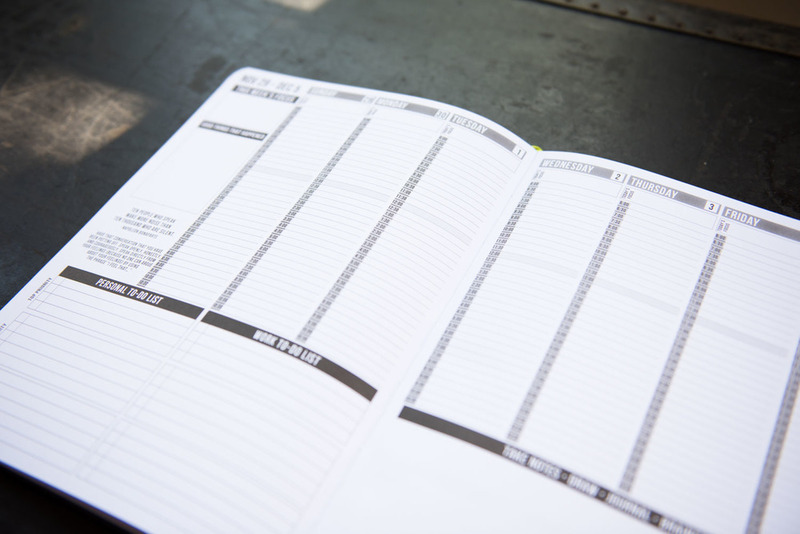 Do you use a planner or other productivity tools? If so, what features do you love about it, and how has it improved your life? If you can relate to my struggle of using each day to its full potential, I would love to hear about it!